just giving a little back for all the inspiration that you all have given me. 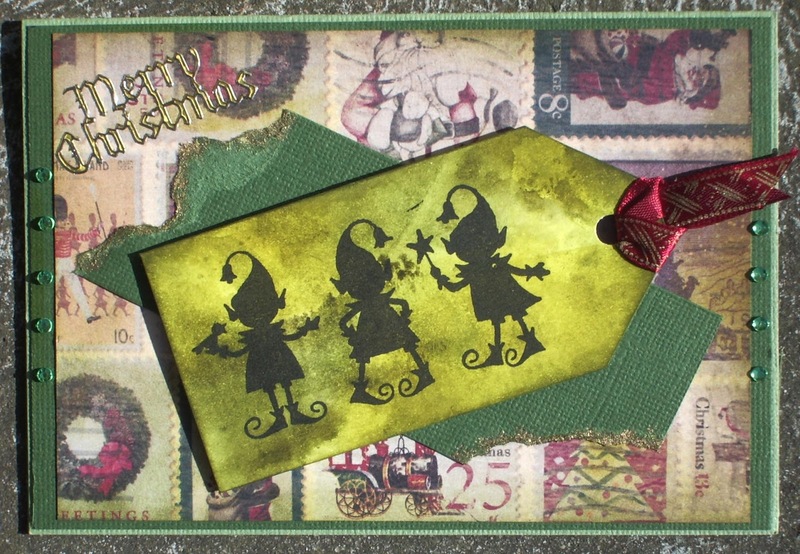 I love these cheeky little elves, and thought I would just do a quick DI tag and layer it up on some pattered paper. I did this in red, and one in yellow and they both looked great too! Some had rhinestones scattered just for a bit of bling, you can dress this up any way that is your style. Another wonderful Christmas card, love the little elves.